LOVE Festival Indonesia is a certainly yearly music festival held every February. We start in 2016 with LOVE Festival, the festival has been graced by KAHITNA’s 30th Anniversary Celebration. 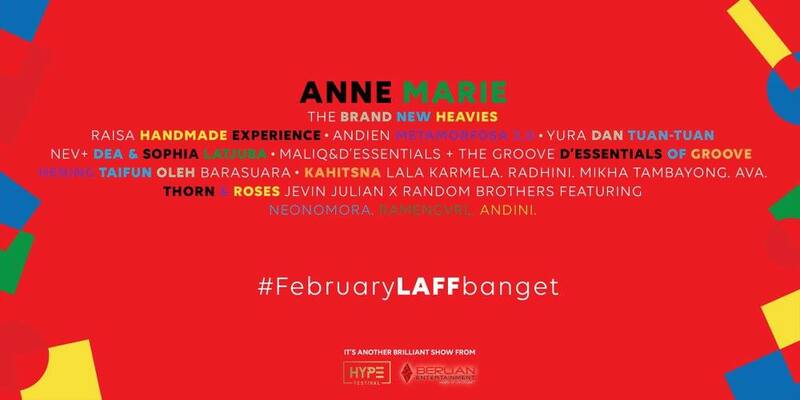 Now, WE ARE REBORN with new concept as LOVE and FABULOUS FESTIVAL (LAFF). At LAFFestival, we invite you to have an experience moment that last forever and bring the music with Love, Hope and Passion. This festival concept will present special & exclusive performances from huge line up local special project and international performers. Our final international line up is CL! Catch CL as she will be performing as ONE OF ELEVEN concerts only at LAF Festival! Get your LAF ticket only at Maimilu ticket page >> www.maimilu.com/e/laf-festival now!